Alton Lane is a men's showroom tucked away on the second floor of an Oak Street building. While you barely notice it from the outside, walking in is certainly a memorable experience. Alton Lane does all-custom suiting, shirting, pants and jackets by having each client step inside a 360-degree body scan machine. This machine takes over three hundred different measurements to ensure that the pieces you buy fit you perfectly. From there, you can select each component of your garment from the fabric to the lining to the buttons to the thread. Never again will you fear having someone show up in the same thing as you. Plus, it's not outrageously overpriced (although depending on fabrics it can be). 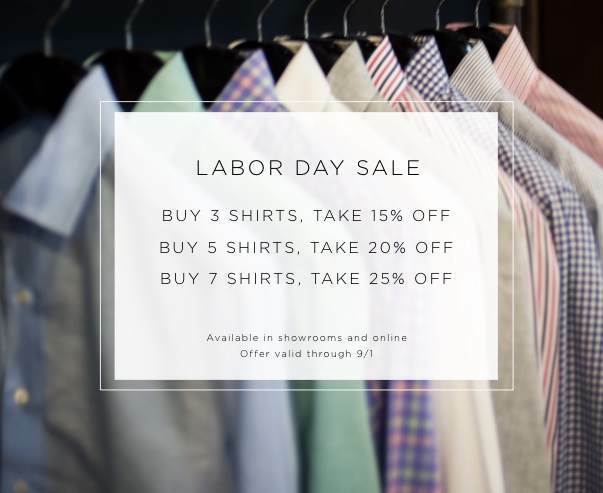 Shirting starts at just $159.